Home REVIEWS Eight(8) Emerging Dance-Hall Musicians Doing It So far! Eight(8) Emerging Dance-Hall Musicians Doing It So far! Tie Four is an artist that’s improved remarkably within the blink of an eye in his shortest period of time and has begun quashing some jams already this year which you have to look out for. “In 2010, shortly after grasping inspiration from his elder sister who used to write poems. Tie four has experimented with several sounds throughout the years, he started out a as Rapper and later on he finally decided to style himself as a singer under the Dance-hall genre”. RealBwoy Morgan grasped into music from being a poet, he has been writing music ever since he refrained from poetry. This artist has released convincing singles so far with a newly promising single he released last month. 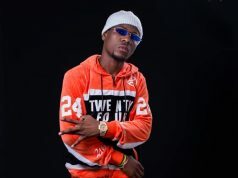 “RealBwoy Morgan Is a Zambian Reggae – Dance-hall singer born and raised in Lusaka – a multiple genre type of artiste capable of doing Afro-beats inspired By Buumbah music which he delivers in a fashioned Zambian style yet with an international approach? In his own words; “I’m a gifted music writer and i write most of my songs”. With a growing base in real time, T Low is becoming established with each release he puts out and all music ventures are going in place. His showed the industry consistence and persistence side as he drives towards fully branded and recognized artist. “Real Names, Amos Chipasha also known as “T-Low” is a Zambian born 2 nd, August, recording and performing artist. He developed a keen interest in the art of music at the age of 19 because he believed music has the power to change people’s lives, In 2014 T-low cultivated a desire to compose his own music as he felt the passion to write music became more of an addiction than an interest and this gave birth to his professional career as an artist. 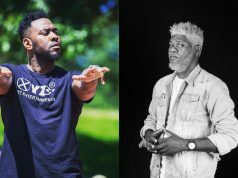 T-Low does Upbeat R&B because he feels in as much as sad moments will always be a part of life, relatable and danceable music helps to rid one’s soul of loneliness and sorrow. It is quite clear to see where the core of T-Low’s versatility comes from in that his musical influences include artists from a wide spectrum of genres which include, Jon Bellion, Alikiba, Avicii, Christopher Martin, Mumba Yachi, Chef 187, Jay Rox, Slap Dee and Roberto”. Young Willy and is under the wings of Bizzy Baila studios, his influenced by Dj Baila etc, has impacted him rightfully you should take a listen to his songs online. The act is presently working towards making a good music source. “William Munjili better known as young willy is a Zambian, reggae dancehall artist who began music as early as in high school. He is currently working together with Bizzy Baila studios. Young Willy was proudly introduced to the music industry by Mr. Richard Richard Sean Mulenga better known as T-Sean”. 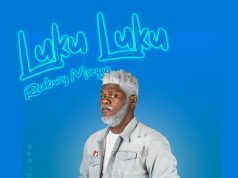 Luwizzy is a modernized Dance-hall artist that shuns the mic, Luwizzy could also tag himself in the near years as one highly rated artist. “This artists has been releasing singles which are all over the internet and having listen to what he has offered with no seconding thoughts he will lead in his time”. Wow! Stizzy OG was recognized and discovered from unnamed Cypher Shows that have been going in Lusaka. This artiste – has already done his homework concerning stage work and any related performance his ready for stardom-ship. “His already started establishing a name in his area and surrounding places tagging him as #The Dancehall Nyau which is good vibe to any artist in order to work extra hard towards his music career, he just completed school last year and is slated to make a debut and drop is mix tape next in February, something called “School & Music” stay glued”. This Emcee is currently underground trying all possible ways to see his stardom both as dancehall artist and a producer all the two falls in place for him. Click On The link To Preview & Listen His last Verse On This Song. This is an artist behind many songs that he has written for the legendary Late Joe Chibangu, Hamooba and he is also behind Ty2’s live your life, Salma sky’s Chimubabe. “Real names are Alfred Mubanga Ntanganika, goes by the stage name “Kidman” but he is no kid in the game. His voice might be a fresh sound in the industry but that doesn’t sit on the fact that he exists longer than you may know in the business”. CHECK OUT HIS MUSIC ONLINE. Thanks for reading stay logged right her with more entertainment and news updates.